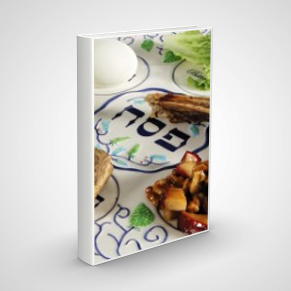 In this post, we want to present you with five guides to Pesach products and related resources. We are certain that this post will be useful to bookmark to access everything from one page and be able to best serve your congregants and students. The first guide is the Chicago Rabbinical Council (CRC) Guide to Passover for 2018/5778. Please click here to access the PDF. The second guide is prepared by the Washington Heights-based KAJ. You can download the KAJ Approved Chometz Contract and Pesach List here. The fourth guide is the OU Guide to Passover for 2019. To access their Guidelines for Medications on Passover, click here. Finally, the world of non-food items such as shampoos and cleaning agents needs to be considered on Passover. The OU has prepared a list of such items to help you navigate this aspect of maintaining a kosher Passover. You can access this list here. If you have further questions, you can always let your students and congregants know that they can turn to the free OU Kosher Phone App for iPhones, iPads, iPod Touch, and Androids. The App can be downloaded here. The final guide is the Star-K Passover Directory & Medicine Guide which is available here. Please feel free to check out the Olami Resources Pesach Resources site here. This page offers links to a multitude of websites, online tools and more that will allow you, your congregants, and students to walk away with a slew of information on all things Pesach-related! New Infographic: The Passover Seder Cheat Sheet Up to $1,000 Available for Explanatory Passover Seder Let NJOP Help You Offer an Explanatory Communal Passover Seder! The Passover Seder Experience Handbook Offer an Explanatory Communal Passover Seder this year and Qualify for a $1,000 Award from NJOP!